**** Sienna Pearlcoat 2001 Jeep Cherokee Police PowerTech 4.0L I6 15/20 City/Highway MPG Odometer is 56679 miles below market average! Dual front impact airbags, Front anti-roll bar, Power steering, Rear anti-roll bar, Rear window defroster. Kelley Automotive Group is proud to Pre-Apply Forever New Paint Protection to ALL New & Pre-Owned vehicles. To receive the Forever New Limited Warranty, $399 will be added to the purchase price of your Pre-Owned Vehicle. (Kelley Price + $399 (to receive Limited Warranty) Stop by and visit our amazing facility in the 14/69 Auto Mall! Take exit 205A, then turn left into the Auto Mall. The Kelley Automotive Superstore will be on your left! We'll make you feel right at home! **** Brilliant Black Crystal Pearlcoat 2010 Jeep Compass 2.4L 4-Cylinder DOHC 16V Dual VVT 21/24 City/Highway MPG Odometer is 9751 miles below market average! Air Conditioning, Brake assist, Electronic Stability Control, Four wheel independent suspension, Front fog lights, Illuminated Entry, Keyless Entry, Quick Order Package 26D Sport, Rear window defroster, Traction control. 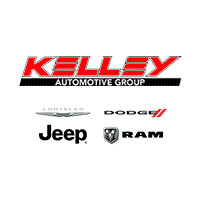 Kelley Automotive Group is proud to Pre-Apply Forever New Paint Protection to ALL New & Pre-Owned vehicles. To receive the Forever New Limited Warranty, $399 will be added to the purchase price of your Pre-Owned Vehicle. (Kelley Price + $399 (to receive Limited Warranty) Stop by and visit our amazing facility in the 14/69 Auto Mall! Take exit 205A, then turn left into the Auto Mall. The Kelley Automotive Superstore will be on your left! We'll make you feel right at home!